Phillip Phillips won on American Idol last night, and it's already had some serious ramifications for the singer and his family. Phillips' Dad Donnie Phillips had reportedly been considering selling the family pawn shop in Albany, Georgia for a while now, but the singer's victory in the FOX singing competition clinched it: There's now a big "For Sale" sign in front of the pawn shop. And waiting for Phillips' victory was definitely a smart move. While Donnie had previously had the figure of $200,000 in mind before last night, the shop is now the subject of a bidding war presumably thanks to all the positive buzz stemming from his son's American Idol performance. Theoretically, the sky is the limit on how much the Phillips family pawn shop could be worth now. And that's a good thing, especially since winning on American Idol doesn't necessarily mean you're going to be a huge success in the recording industry. It's still a highly competitive field, and even with the bragging rights and "leg up" that an American Idol victory provides, Phillips is still at the mercy of the music listening public, who are notoriously fickle and unpredictable in their whims. So it remains to be seen just how Phillips' career is going to pan out. His debut single is "Home," which hit iTunes and other outlets on May 23rd. It's unknown when his album will be released – but with Phillips' wide range of musical interests, it will probably have a diverse sound compared to some of the other more pure pop albums to come out of American Idol. One good sign for Phillips' future prospects is the continued popularity of the show itself. Although it's gone through a lot of changes recently, last night's Idol results show was a ratings success, and both Phillips and his competitor Jessica Sanchez received a record-breaking total of 132 million votes. 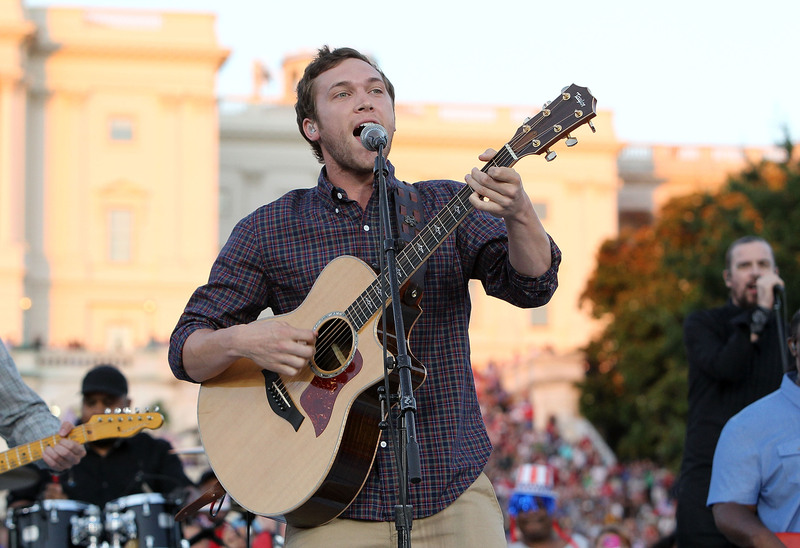 What is Phillip Phillips' net worth? Phillip Phillips, a singer who just recently became the 11th winner on the FOX reality singing competition American Idol has a net worth of $3.5 million. You can make a lot of money as an NFL player. Just make sure your family doesn't view you as their personal ATM.